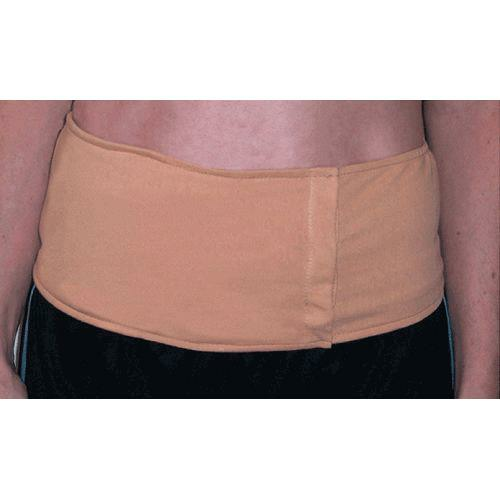 Phoenix Ostomy Support System Belt is a patent pending ostomy appliance belt that conceals and supports an ostomy pouch as well as provides a peristomal hernia and leakage support. The pocket forming panel is designed to support an ostomy collection pouch in a secure, horizontal position on the wearers abdomen without interfering with the function of the ostomy appliance. The removable inserts, surrounding the belts stomal opening, support peristomal hernias and help prevent leakage. I need a Phoenix Ostomy belt that is 53" in length. Can you fit me? If not, do do have any suggestions. I have seen this belt and like it better than any I have tried. This is the only belt manufactured by Phoenix. But we have other Ostomy Belts available on our website. You can choose from them.